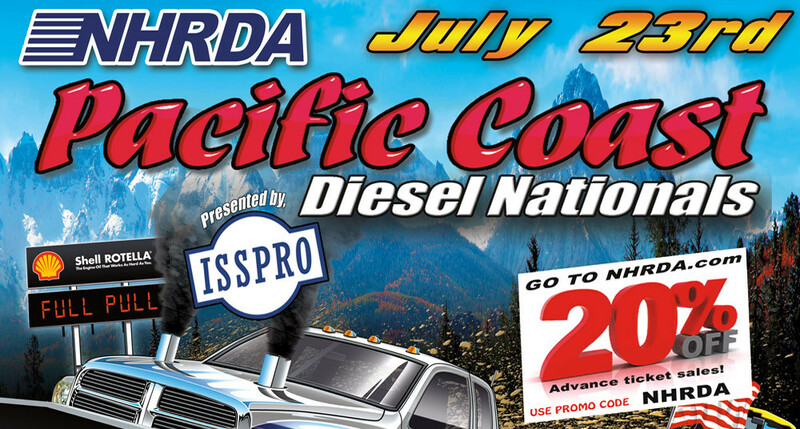 27 July 2016 Kent, WA - Event Recap for the 6th stop on the NHRDA Championship Series at Woodburn Dragstrip for the ISSPRO Gauges Pacific Coast Diesel Nationals on July 23rd, 2016. The weather on Saturday at Woodburn Dragstrip was perfect for setting world records in the NHRDA drag racing series. During the 1st round of eliminations Wayne Talkington came out and set a new World Record in the Hot Rod Semi Class and during the 2nd round of qualifying he backed it up within 1% to make the new record official at 11.75et at 113.95mph. The next event of the NHRDA National Series will be at Castrol Raceway in Edmonton, Alberta for the JB's Canadian Diesel Shootout August 6th, 2016.